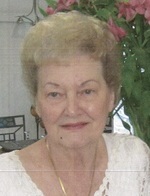 Kathleen “Kitty” Dunne, age 97 years, of The Villages, FL passed away Friday, April 12, 2019 in Leesburg, FL. She was born in Chicago, IL and came to The Villages 15 years ago from Chicago after retiring. 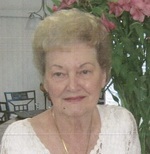 Mrs. Dunne loved life in The Villages including playing Bunco for eighty years. She was also a ceramic artist creating many treasures. Mrs. Dunne was preceded in death by her husband Robert, a brother Eugene and sister Clara. Survivors include her son Thomas (Jeanie) Wallace; grandson Richard Wallace; brother Gus (Anne) Theobald; sister Betty Barclay and many nieces and nephews. A visitation will be held at the Lady Lake Chapel of Beyers Funeral Home on Tuesday, April 16, 2019 from 10:00 to 11:00 a.m. with a service to follow at 11:00 a.m. The family would like to thank the staff of Harbor Chase of Wildwood for the loving care provided Kathleen. To send flowers to the family of Kathleen "Kitty" Mary Dunne, please visit our Heartfelt Sympathies Store.